Simon Carter men's black crystal curved cufflinks. 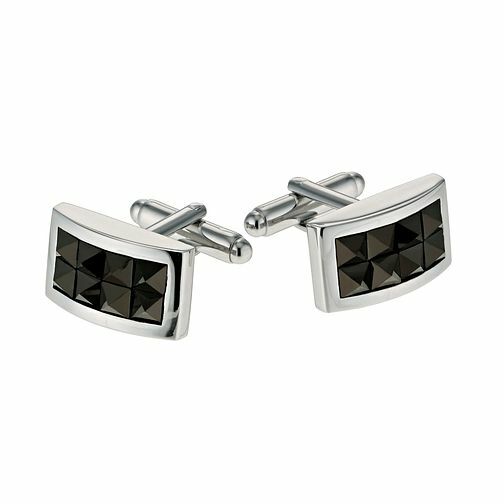 Stylish men's cufflinks for all occasions. Simon Carter men's black crystal cufflinks is rated 5.0 out of 5 by 1. Rated 5 out of 5 by Anonymous from Beautiful gift Got these from my beautiful wife for our 15th (Crystal) Wedding Anniversary. They're not as beautiful as she is, but a really nice gift all the same. Solidly made, easy to turn and stay in place (the cufflinks, not my wife).